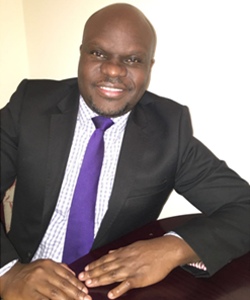 Laban Chiko has a wealth of experience in the fields of Finance, Administration, and Peacebuilding & Conflict Management spanning over 13 years. Over the years he has worked for an African research organization; United Nations Volunteers; United Nations Development Programme; and the Government of Kenya through the Ministry of Interior and Coordination of National Government. He has established skills in capacity building training, managing projects, monitoring and evaluation, research, and data analysis. He holds a degree in Accounting and Business Administration & Management. He is currently concluding his Master of Arts degree in Monitoring and Evaluation. He has also successfully attained certification from the University for Peace on Measuring Outcomes and Impact; IGAD-CEWARNs training of trainers for Programme Cycle Management; IGAD-CEWARNs Monitoring, Evaluation, Reporting and Learning training; and the United Nations Resident and Humanitarian Coordinator training on Conflict Sensitive Programmingamong others.